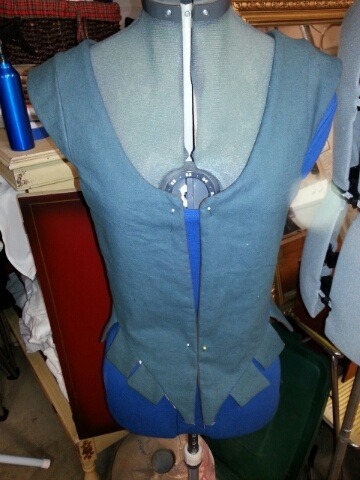 This is the part I love; where the item starts to finally resemble the finished product. Complete except for the pinned spot which is where one fold will hide the starting point of the drawstring casing. It’s terribly difficult to take a photo of your own head when you’re not looking at the camera. – from fashionsfromistory on Tumblr. 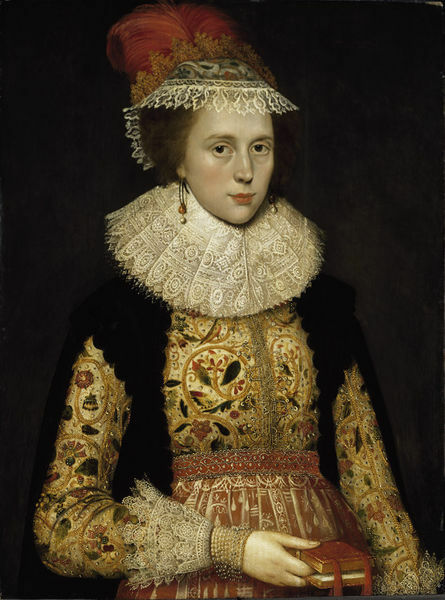 Click through to see the actual garment. It’s a very interesting comparison. 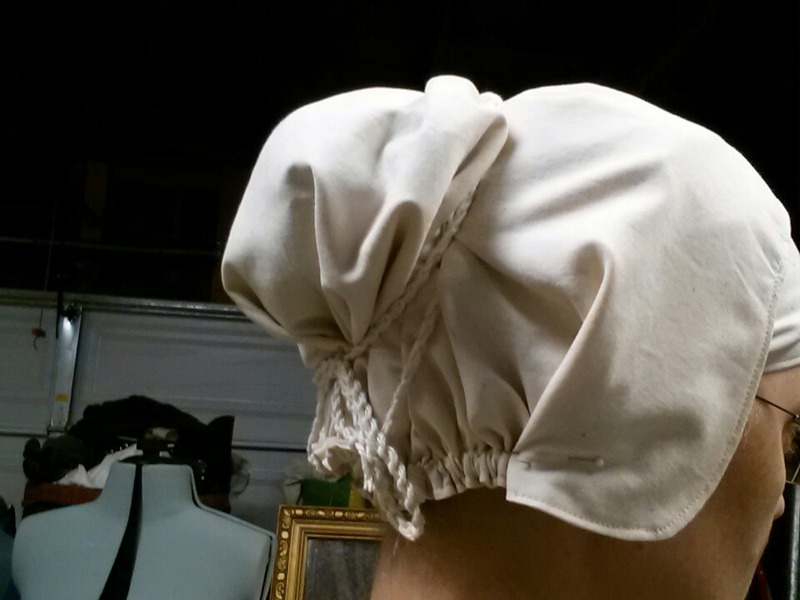 Completed Elizabethan coif, linen / cotton blend. 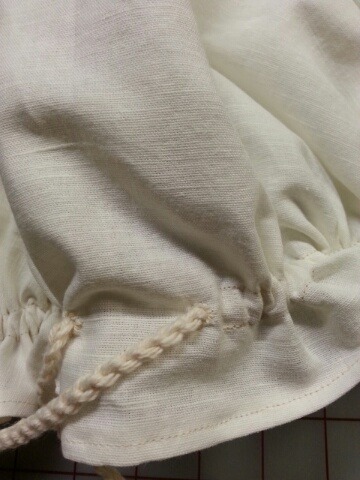 Note the handmade eyelet and cord. Next time I’ll try something with some color.